Isn’t it exciting when you discover something super HEALTHY that actually tastes AWESOME?? That’s what these are and they can be altered to your liking! 5 drops YL Peppermint Essential Oil (for flavor and digestive support!) – only use high quality essential oil here (especially important since you are ingesting them and Young Living is the only brand with essential oils FDA approved for consumption). If you don’t have any yet, visit http://www.myyl.com/reposa and scroll down to click Enroll Today! Grab a starter kit (which includes Peppermint EO) and lots of other fun oils to try! 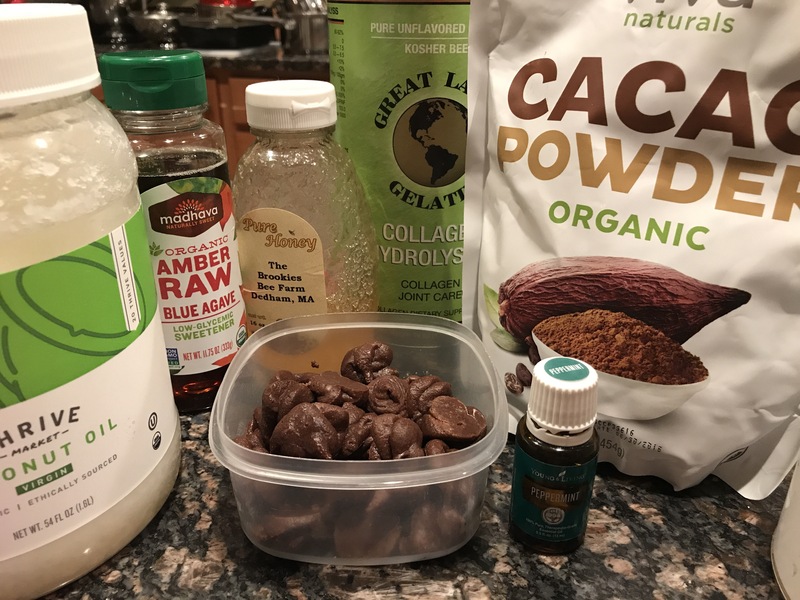 1 Tbsp Organic Protein powder (plain, vanilla or chocolate flavor) YL makes some awesome power packed protein but I just used Grass Fed Whey Protein this time! Mix everything in a bowl and taste for sweetness before adding extra honey or agave to the mixture. If you love peppermint, feel free to add a few more drops of Peppermint EO but taste as you go! Scoop mixture into a zip lock bag and cut off one corner so you squeeze out little drops or swirls of candy to around the size of a Hershey’s kiss onto a tray or pan. Let me know if you try these out!